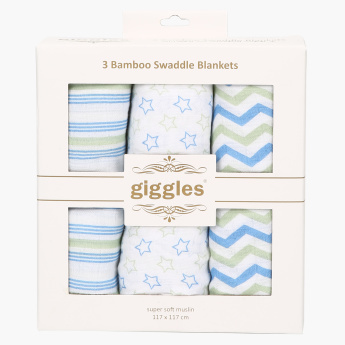 Giggles Printed Swaddle Blanket - Set of 3 | Multicolour | Extra Soft and Warm . 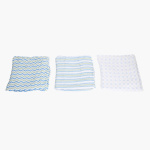 Save SAR 16 (20.78%) – Earn 6 Shukrans What is Shukran? Shukran is the Landmark Group’s award-winning loyalty programme in the Middle East, which allows you to earn Shukrans when you shop any of our brands. 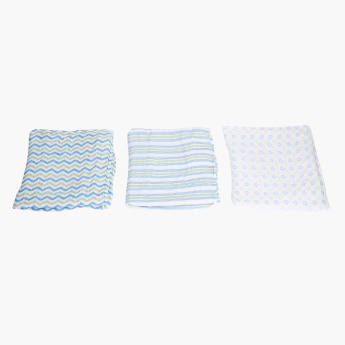 Pick this set of three swaddle blankets and gift it to your friend who had a newborn baby. 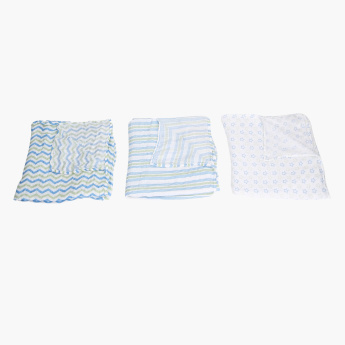 With appealing prints and tones, this soft set is specially designed to wrap the kid for comfort and warmth. Feature 1 : Extra Soft and Warm . Feature 2 : Light weight .